For the first time in my adult life, we watched a situation where the President of the United States and the intelligence community seemed to be openly feuding. President Trump went back and forth with former CIA Director John Brennan and former DNI Director James Clapper. The President took shots at the intelligence community on Twitter and in other public forums, while some of those members took anonymous shots at him. This was a relationship that needed to be repaired for the good of the President, the intelligence community, and most of all, our great country. 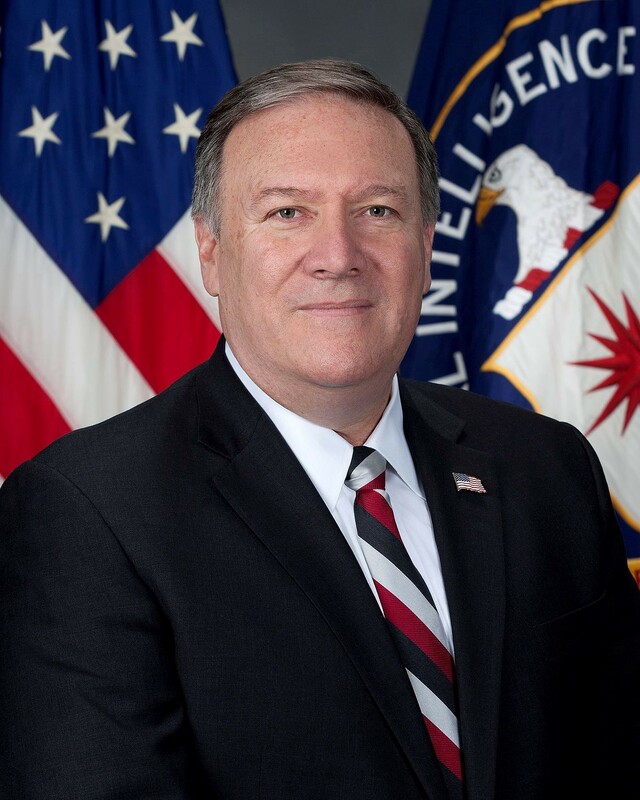 Mike Pompeo had the unenviable task of not only bridging this divide, but also running the agency that is at the forefront of the intelligence gathering that is so crucial to the safety and security of the United States. Mike Pompeo was up for the challenge and succeeded where very few could have. And I have zero doubt he will do the same once he takes over in his new role as Secretary of State. A former military officer during the Cold War, Pompeo knows the importance of combatting foreign threats in a swift and succinct manner. And he doesn’t play around. Pompeo knows there is a time for diplomacy and a time to get tough. For example: The idea behind the Iran nuclear deal — avoiding a war and coming to a peaceful resolution — was good. However, what was not so good was the lying that President Obama’s team — as Senior Adviser Ben Rhodes bragged to the New York Times — lied about the timeline and terms of the deal. Pompeo wants that deal to have terms that are stronger and are more in America’s national interest. He will not just sit idly by and allow poorly constructed and negotiated deals like that remain without renegotiation of some kind. As a Congressman for the state of Kansas, he consistently came down on the side of keeping the country safe. Yes, he may be a little harsh in his belief that Edward Snowden should be executed. That is not a position I agree with. However, he did say that while he personally thinks Snowden should be executed, he believes the man should receive his due process, meaning that he respects individual rights and believes Snowden should be judged by a jury of his peers. Mike Pompeo thinks Snowden should have his day in court and not be imprisoned or executed without a fair trial, regardless of his own personal feelings on the matter. He is also for intensified surveillance, but not to the point where it would cross the line no government should cross. If he was, he would not have had the endorsement of Michigan Congressman Justin Amash. Amash, who is one of Congress’s top civil libertarians and a strident warrior on behalf of individual rights, had this to say on his official Twitter account the day Pompeo’s nomination for CIA Director was announced. A fair man who is hellbent on securing the safety of our country while respecting the Constitution and listening with an open mind to any reasonable objections that come his way. Sounds like the right man, at the right time, for the right job.